Octego Ltd provides a comprehensive selection of building and maintenance services – whether you’re looking for anything from industrial construction to flooring works, we have the experience and expertise to carry it out. Whatever the requirements you have for the work, you can count on us for professionalism, efficiency and excellent value for money. We will manage the project from start to finish, making sure that each piece of work is completed within the guidelines set by the client. We pride ourselves on our ability to get the job done on time and to exact brief. We understand that hold-ups can cause real problems and mistakes are even worse, so we work to very high standards every time. Octego Ltd offer the full range of groundworks services, including bulk earthworks, site enabling works and foundations. We have particular expertise in carrying out ground works for the catering industry and are familiar with all hygiene and health & safety regulations for the food industry. 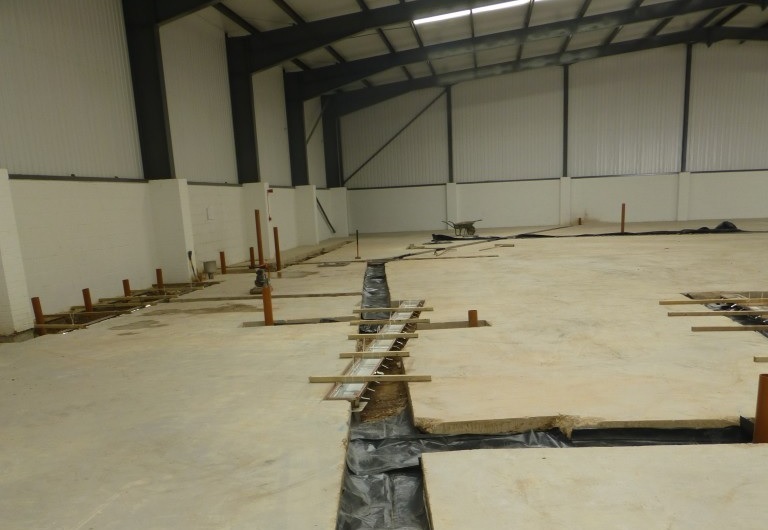 As experienced groundwork contractors, we have extensive experience in designing and installing sophisticated drainage systems as part of any industrial refurbishment project. We can provide foul drainage and surface water drainage solutions a well as repairs to pipework and guttering. 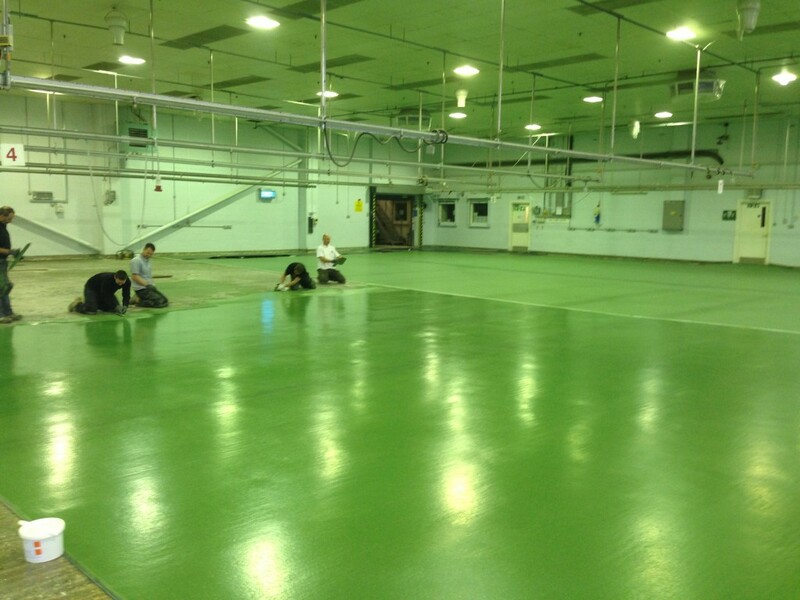 For a strong, durable and hygienic floor covering solution for industrial fit outs in Sussex, Kent and beyond, we offer resin floors for a wide range of commercial environments, including food preparation and processing, industrial kitchen flooring, retail, office and medical establishments. 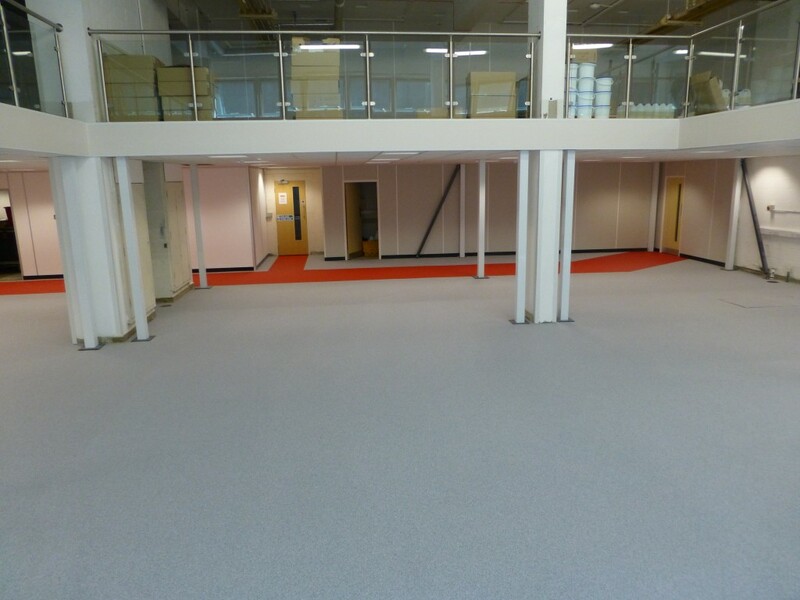 We apply polymer modified floor screeds – adding screed fibres or steel reinforcing mesh as required – in preparation for resin, tiles or soft flooring. As a flooring contractor with decades’ of industry experience, we can provide the correct solution for any industrial refurbishment project including commercial flooring and retail mezzanine floors. Octego Ltd are specialist providers and installers of sophisticated industrial building cladding solutions and insulation panels that offer a high degree of thermal efficiency and insulation properties. We can cater for industrial fit outs across a range of sectors including manufacturing, retail, food and pharmaceuticals. We have an in-depth knowledge of relevant hygiene and health & safety regulations and can offer tailored made solutions for hygienic wall cladding solutions in hospitals, restaurants, bakeries, industrial kitchens, food factories and many other industrial refurbishment projects. As a trusted building and maintenance services partner, Octego Ltd is able to offer lead contractor and project management services for industrial fit-outs and industrial refurbishments for all types of commercial sites. Our expertise extends from groundworks services all the way to roofing and beyond. Octego Ltd provide expert assistance on a range of roofing solutions for your industrial refurbishment project. We offer full installation and maintenance services for any roofing and guttering requirements. With a 40+ year track record as an industrial flooring contractor, we have accumulated a wealth of expertise in providing mezzanine flooring installations for a wide range of commercial situations, including retail mezzanine floors and office mezzanine floors. Contact us for advice on any structural steel work engineering or erection issue as part of your industrial fit-out or refurbishment project. Octego Ltd is a professional company offering both construction and management solutions for many industrial and commercial premises. 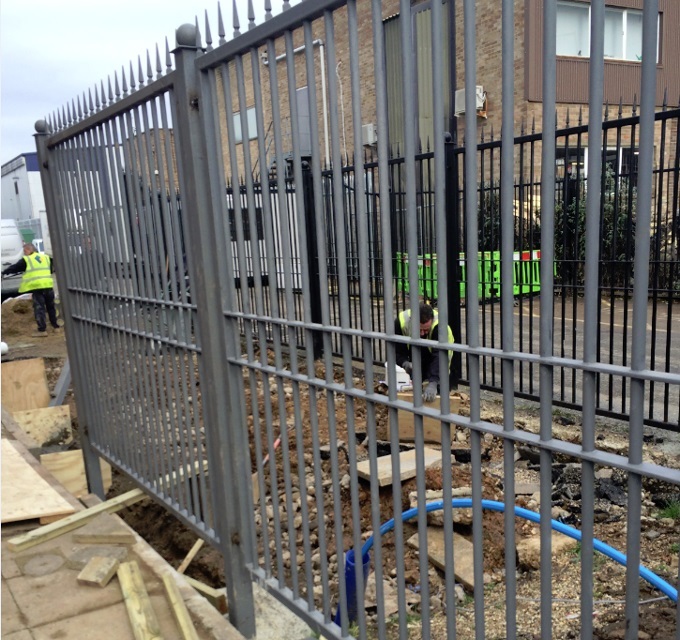 We can supply a range of fencing solutions to support any industrial refurbishment contract. From temporary safety fencing during construction work, to providing enhanced security fencing for outdoor events, please call our professional team for advice. Our range of building and maintenance expertise extends to situation specific services, including offering professional scaffolding services in Sussex and beyond. Regardless of the size of your commercial refurbishment or fit-out project, Octego Ltd is on hand to ensure your complete satisfaction. With many years’ experience of office fit-outs and general commercial building and maintenance services to a range of industry sectors, we can provide partition wall installation services for sound insulation and office partitions. Octego Ltd offer a comprehensive range of refurbishment services, including full project management and lead contractor responsibility. 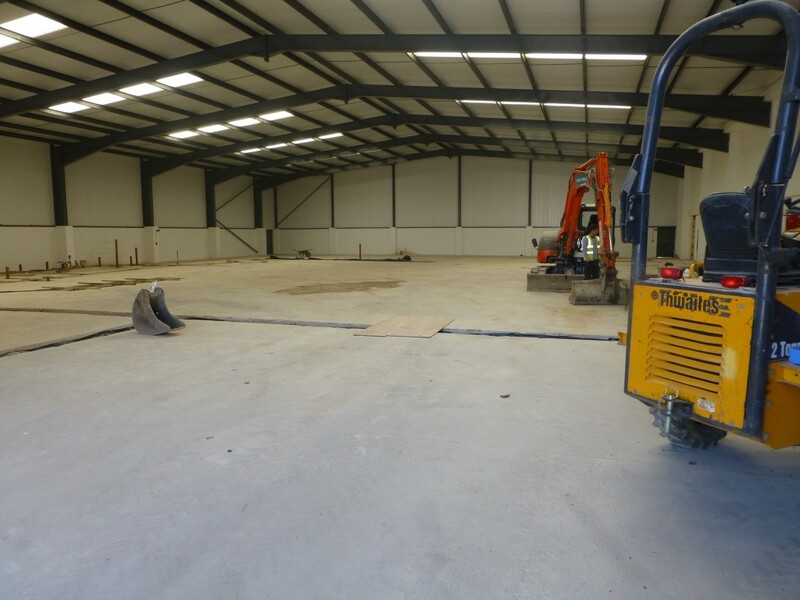 From groundworks services to commercial mezzanine floors and industrial wall cladding, we can act as a one-stop-shop and your trusted partner. 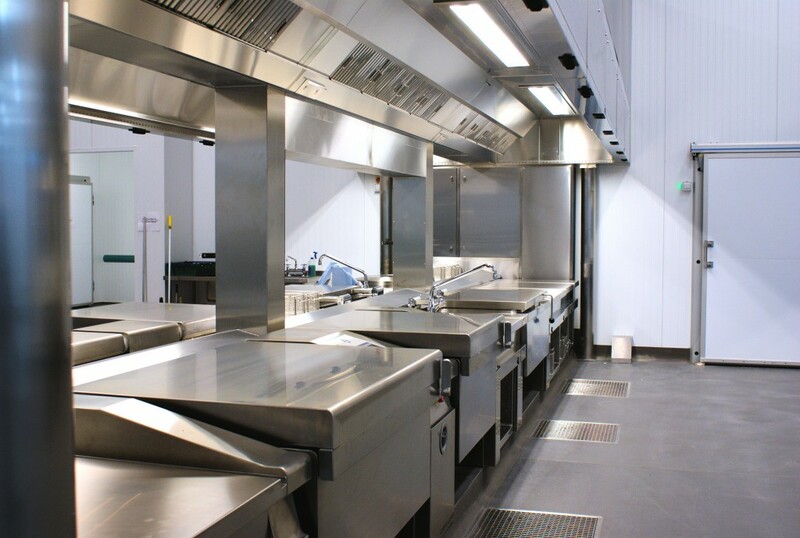 As a family run business with a background in building services for the catering and food industry, we are experts in fitting out industrial kitchens of every size and specification. We can provide solutions for ground works for the catering industry, industrial kitchen flooring, hygienic wall cladding and much more besides. Contact us today to discuss your requirements or to book a site visit and quote. Our team will be happy to help with all enquiries.